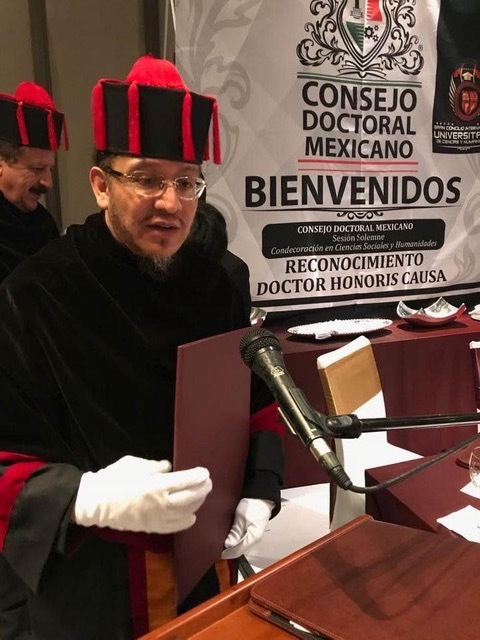 In September of this year, the Mexican Doctoral Council granted the Right Rev. 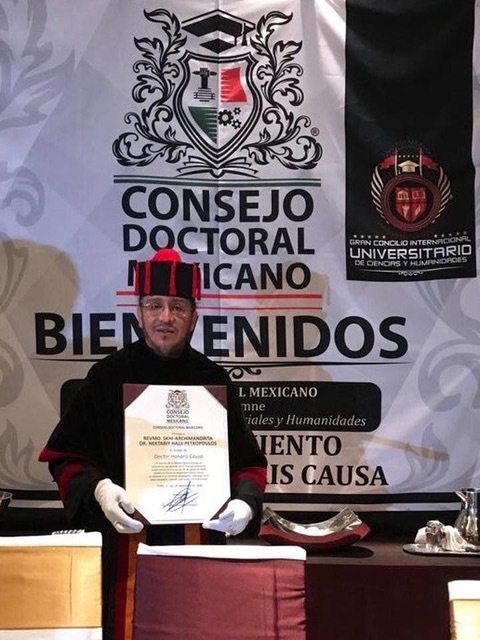 Schema-Archimandrite Dr. Nektariy (Hajji-Petropoulos) an Honoris Causa Doctorate in Social Sciences and Humanities. He was elected along with another nine people, who were selected due to "outstanding professional service" within the whole country. Among other chosen were deputies, senators, State Ministers. 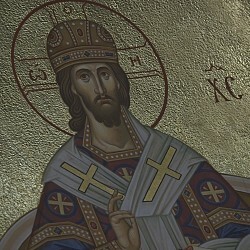 Father Netariy wrote: “It was something unexpected which deeply humbled me. However I keep in mind that these things are not for me, but for our Church which is my life! Everybody around me knows I am a Russian Orthodox clergyman; I wear my riassa all the time, even while working at the clinic. 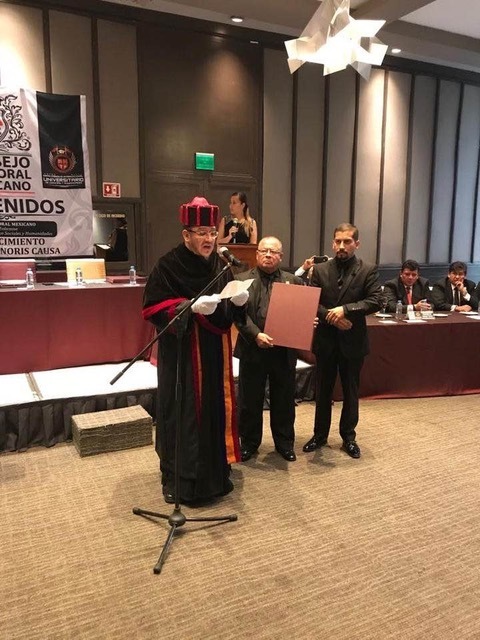 I'm fully aware that whatever I do would reflect for good or bad on the image of our Church in Mexico.